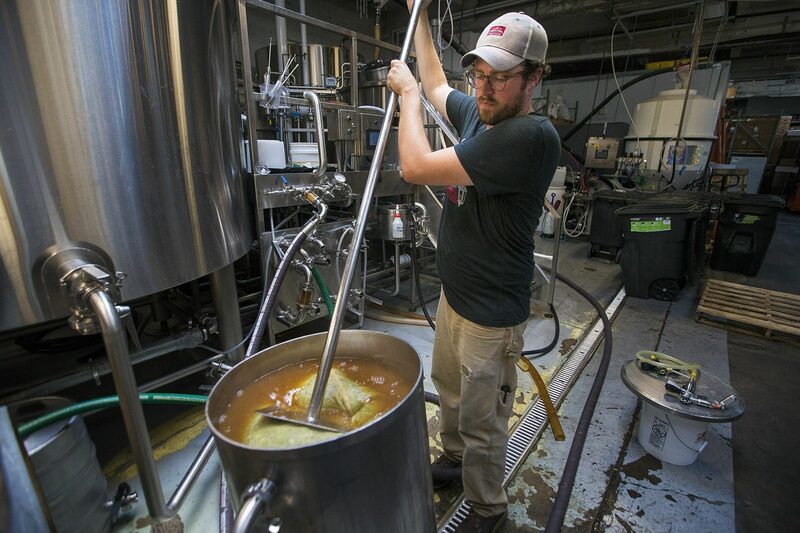 Can you name four ingredients typically used to brew beer? Well, according to a German beer purity law (or "Reinheitsgebot"), there’s water, grain, yeast and hops. Hops are grown all over the world. In the United States, they reign supreme in the Pacific Northwest. That wasn't always the case — the seeds of the U.S. commercial hops industry were planted in New England. Recently, the crop has been making a comeback here with help from brewers looking to make more locally-sourced beers. One farm leading an agricultural revival of this historic "wicked weed" is Four Star Farms in Northfield, Massachusetts. Rows with 17,000 strings dangled from sturdy wires, like verdant, ruffled sculptures, at the farm abutting the banks of the Connecticut River. L'Etoile grasped the hop flower between his thumbs and forefingers to expose its insides. Fruity, floral aromas, flavors and bittering powers are what brewers use to balance the sweeter, malty characteristics in their beers. L’Etoile’s family grows nine hops varieties, including Magnum and Cascade, on 17 acres of land. Before getting into the hops business, the family was growing turf on the farm they purchased in 1986. They still do. But 10 years ago, after L'Etoile's sons finished college, the family was looking for ways to diversify. That overabundance was on the West Coast and prices were plummeting. But then there was a warehouse fire in Washington state that destroyed a two million pounds of hops that brewers around the country depended on. 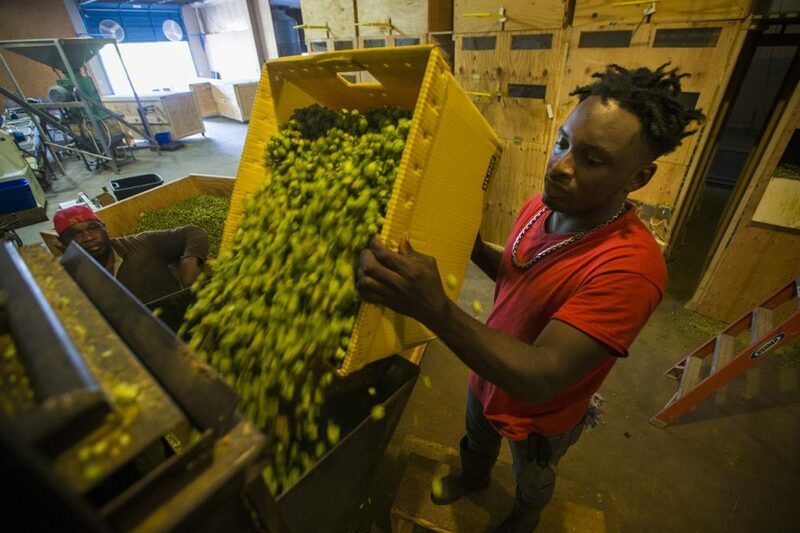 Demand shot up, and L’Etoile’s younger son — who was then assistant commissioner of agriculture for Massachusetts — suggested the timing could be right for growing hops here. “We figured, well, we'll give it a shot,” L’Etoile recalled. 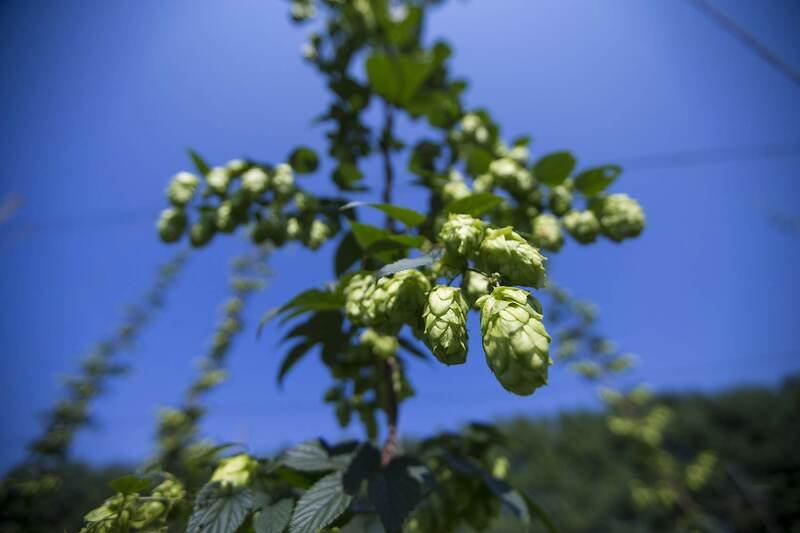 The state's craft beer industry was revving up, but cultivating hops in the Northeastern climate has always been challenging. L'Etoile’s daughter-in-law, who handles marketing and brewer relations for the farm, loves this historical tale. “If my teachers had told me that the Pilgrims really stopped here because they ran out of beer — ‘Stop the ship, we need to plant our hops and grow grain because the grogs are almost gone,” Liz L'Etoile said, laughing. “That's a much more evocative image in my head than, ‘Wow that's a beautiful rock we should stop there!' 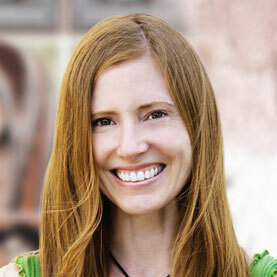 "
Everyone drank beer in Puritan times — for good reason, according to beer writer and former brewer Lauren Clark. Clark traces this history in her book, "Crafty Bastards: Beer in New England from the Mayflower to Modern Day." For the Pilgrims, she explained, brewing beer was a household task. They grew their own hops outside their homes. And a regional, commercial industry flourished and reached a golden age between the mid-1700s and 1830s in places including Woburn, Wilmington and Fitchburg, as well as in Vermont and New Hampshire. Ultimately pest and disease pressures — especially from Downy mildew — pushed the hops business west. 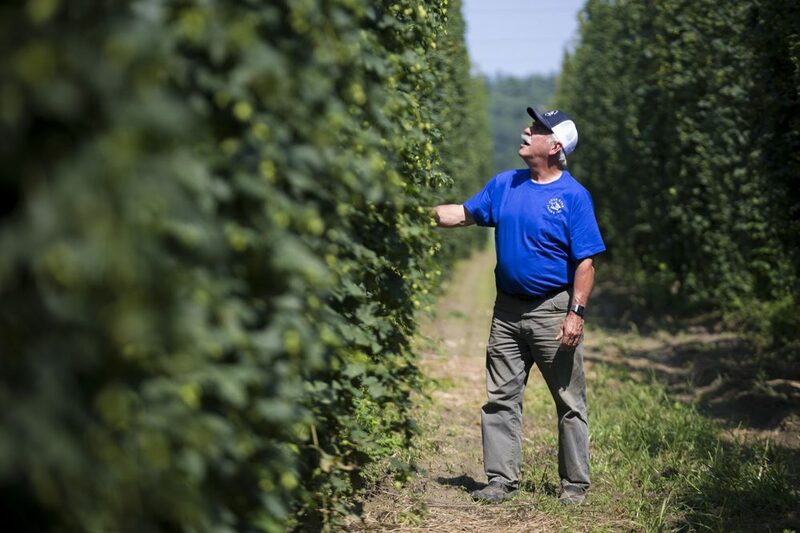 “What Four Star [Farms] is doing is continuing this historic commercial hop trade that used to be happening in New England and that disappeared over the last 150 years or so as the as the hop trade moved first to New York State and then to the Pacific Northwest," Clark said. Other growers in Vermont, Maine and Massachusetts are fueling the hops renaissance, too. And some artisan brewers are harvesting small amounts to use for their own beers. Even so, Gene L’Etoile said most people don’t know local hops exist or what might make East Coast hops different than those from out West. Other varieties channel sticky, stone fruit characteristics, a little bit of pineapple and melon. 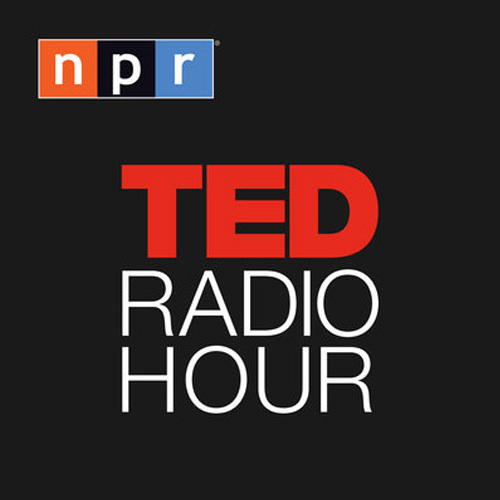 “Our soil, our climate, our growing practices really bring that out,” Liz said. When they first started harvesting hops the farmers gave them away to brewers for free so they’d try them. Early adopters include Wormtown Brewery in Worcester, The People’s Pint in Greenfield and the Northampton Brewery. These days Four Star Farms supplies more than 50 customers around New England. During harvest — which runs from mid-August to late September — hardy farm workers scooped dried hops from large, wooden holding crates and fed them into a big, loud baling machine. It compressed them into burlap sacks which are hand-sewn shut. The team will later pelletize a portion of the harvest, too, which preserves the flavor for storage. 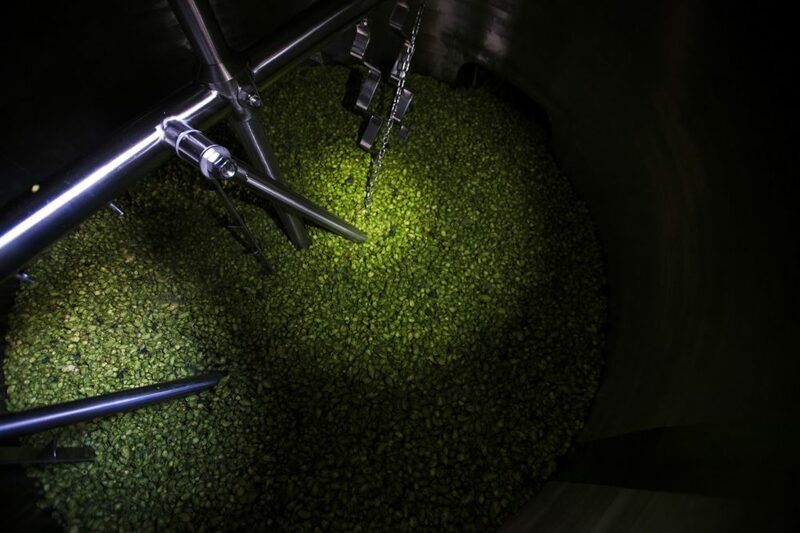 Brewers looking to use hyper-fresh ingredients drive out to the farm to pick up what are known as "wet hops." Brewmaster Tyler Fitzpatrick traveled two hours to Northfield from Cambridge and said he barely fit all 400 pounds of Magnum hops into the back of his Subaru. Soon after retrieving his stash Fitzpatrick and his head brewer poured pungent green cones into a huge vessel at Lamplighter Brewing Company. The hops steeped in the hot liquid — like loose tea — for a cheekily-named autumn ale named "Wet Hop Cambridge Summer." Fitzpatrick hopes it captures their "bright, candied-citrus to tropical fruit hop flavors." 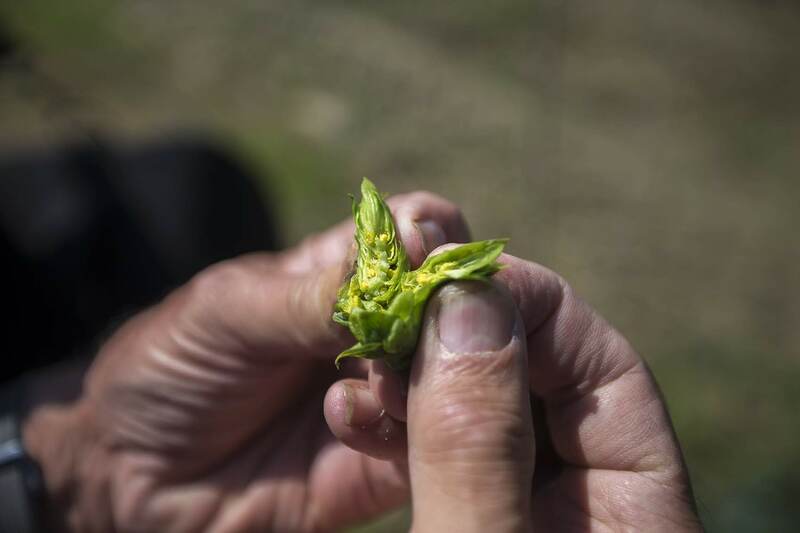 Local hops cost more than the west coast hops, but Fitzpatrick said they’re worth it. The brewer uses other hops from Four Star Farms as well, and hopes to use even more in the future. He wants to do his part in nurturing a more sustainable local beer industry while preserving some agricultural history. “It's always been known that Abigail Adams made some killer homebrew,” Fitzpatrick said, with hops she most definitely grew herself. 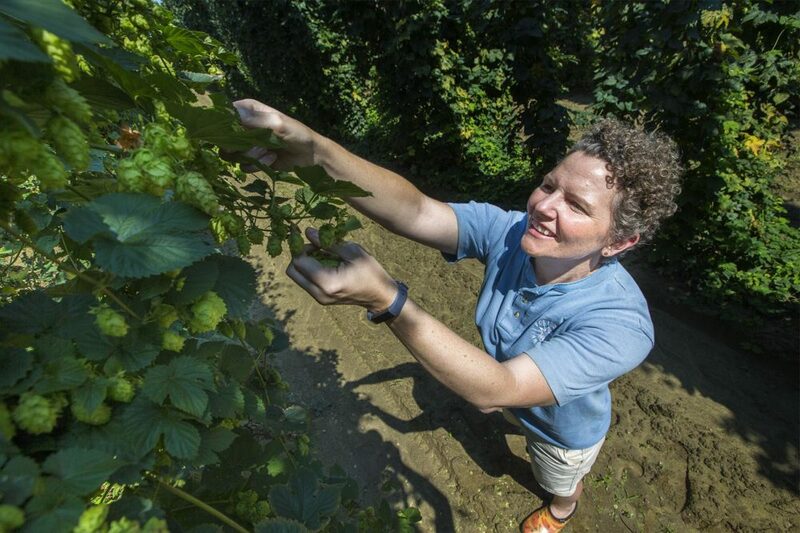 Liz L’Etoile is proud to being doing her share in the hops-growing continuum. L’Etoile told me this standing while standing in the farm’s experimental hops yard where the family is trying out a feral variety likely descended from the Pilgrims’ crops. She hopes they’ll help tell the story about products historically grown here — and about Yankee beer culture's endurance. Now that the harvest is over and the family’s “hops rash” from that scratchy, “wicked weed” has healed, L'Etoile looks forward to tasting the local beers made from the fruits of their labors. 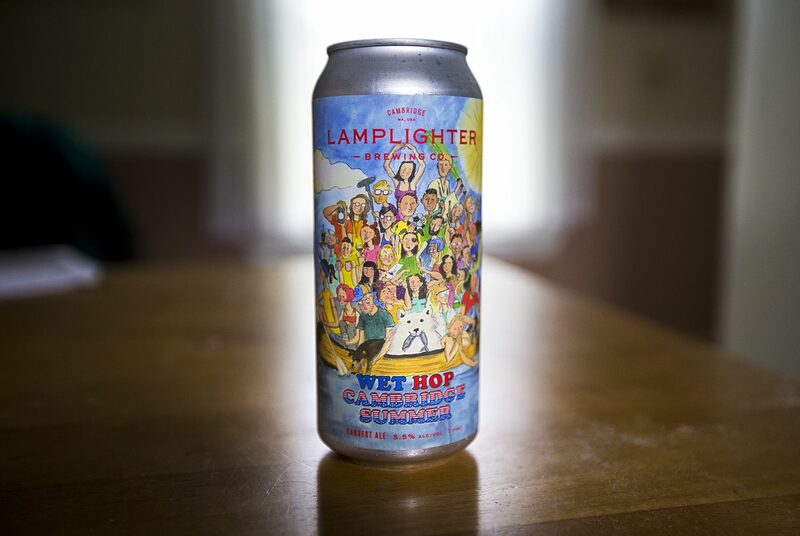 Like Lamplighter’s Wet Hop Cambridge Summer, which just hit the shelves at the brewery last week. Correction: An earlier version of this post indicated the original Reinheitsgebot included yeast, while in fact the ingredient was only added in a contemporary law. The post has been updated.